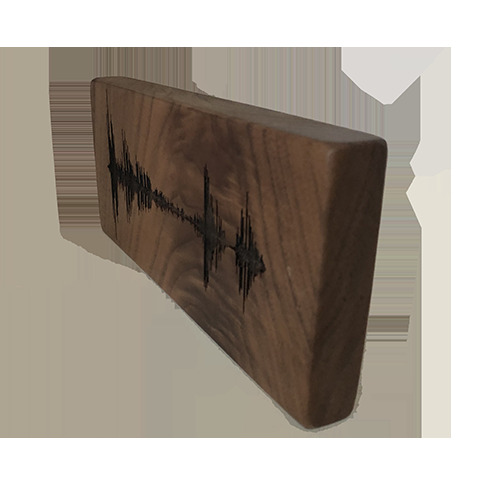 Soundwave Art Solid Walnut Block Soundwave | Create Your Own Soundwave Art™ | Soundwave Art™ - Turn your voice or sound into art! 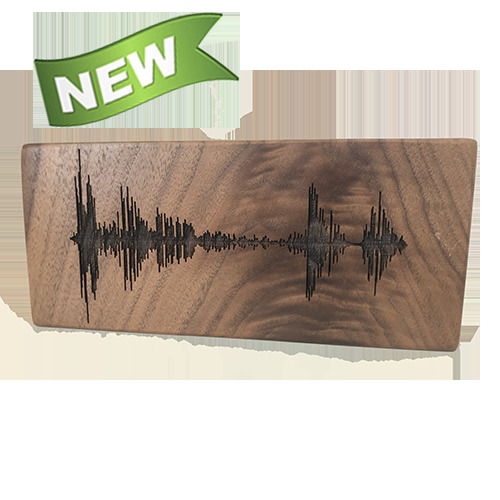 Soundwave Art - Soundwave is engraved into a Solid Walnut Plaque. 4" x 9" x 1" thick. 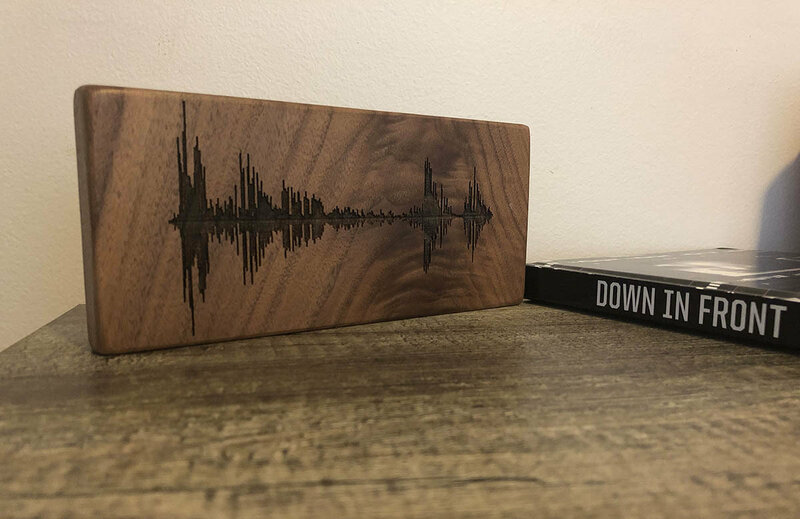 Turn your voice or any sound into art!